Various unique phenomenon one by one has been found on Mars. 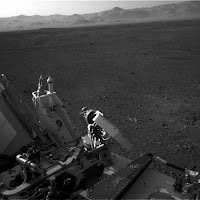 The latest is when Curiosity, a NASA's robotic rover found evidence of a lake in the past on the red planet. As reported by Reuters on Monday, October 12, 2015, three years after landed on the Martian giant crater, NASA's robotic rover found evidence that the basin was repeatedly filled with water, and this evidence strengthens the possibility of life on Mars. The researchers provide the most comprehensive overview of how the Gale Crater, an ancient basin with a width of 140 kilometers was formed and left mounds of sediment that stands as tall as five kilometers to the bottom of the crater. While at the beginning of its mission, Curiosity also been found remnants of river gravel and sediment from shallow lakes. Recent research published in the Science journal suggests that the bottom of the crater up from time to time, the results of the sediment settled, layer by layer, which may have lasted thousands of years, said John Grotsinger, a geologist at the California Institute of Technology. "We know that there was a lake in there, but we have not got a clue how big," said Grotzinger. The water from the northern part of the crater regularly fills the basin, produces durable lakes that could be a place to live. Scientists suspect the water comes from rain or snow. "If someone finds evidence of the existence of lakes, it is a very positive sign for life," he continued. 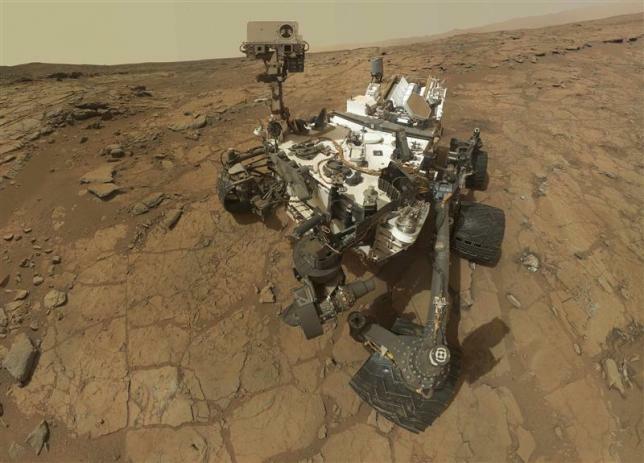 Scientists have learned that Mars has all the ingredients that are considered essential for life. But exactly how Mars could support surface waters last long remains a mystery. The planet is said to have lost the global magnetic field allows solar radiation and cosmic, gradually eliminate the protection of the atmosphere. These conditions can vaporize the liquid quickly, so the presence of water there is still a big question mark. Grotzinger said, "If you have a body of standing water resistant for hours to days without boiling, it was a very big surprise." According to the researchers, the latest computer models show a kind of Martian atmospheric blanket that can be thick enough to support the lakes last long. Allegedly Mars has the greenhouse gases or other chemicals that are now gone.